Need a scholarship? Looking for help to finance your education? Check out the list of scholarships, grants, financial packages, and loans below. This page lists scholarship and other financial aid awards available for 2017 offered by independent bodies for study in a variety of courses at Malaysian private colleges and universities. It does not include awards for public universities, for overseas studies or by individual institutions. There is a range of financial aid packages offered by various private institutions for their own programmes; this information is available at each institution’s website. The Awards cover a wide range of fields and disciplines, from entry-level courses to undergraduate education and professional studies to vocational training. The best thing is the scholarship are all bond-free. To be eligible to apply, you should be a Malaysian citizen not more than 25 years of age, excel in extra-curricular activities or be active in sports, not be a recipient of any other financial aid, and possess reasonably good results in SPM / STPM or equivalent. A programme specially designed for those interested in pursuing a post-graduate degree/diploma (in any field of your choice); whether it’s online, in a local university or even overseas. The MNRB Scholarship Fund was established to assist in the development of the nation’s insurance and takaful industries. Fields of study include Risk Management, Insurance, ACCA, Information Technology, Actuarial Science and Shariah. Since 1998, the Fund has awarded more than 430 bright Malaysians from all races to pursue full-time studies in Actuarial Science, Risk Management and Insurance at local universities. The Fund, in collaboration with the Malaysian Insurance Institute (MII), also awards scholarships to employees of the local insurance industry to pursue part-time studies for the Diploma of the Malaysian Insurance Institute (DMII) and the Associateship of the Malaysian Insurance Institute (AMII) certifications at MII. The Malaysia International Scholarship (MIS) is an initiative by the Malaysian Government to attract the best brain from around the world to pursue advanced academic studies at the postgraduate and post-doctoral levels in Malaysia. This scholarship aims to support Malaysian Government's effort to attract, motivate and retain talented human capital from abroad. Talented international students with excellent academic records and outstanding co-curricular backgrounds are welcomed to apply for this scholarship and further their studies in any selected and well-established Malaysian public and private universities. Infrastructure and Utility, Environmental Studies, Health (not including nursing, medicine, clinical pharmacy). MICPA and TalentCorp jointly offer a scholarship which enables accounting undergraduates to embark on the highly-regarded MICPA-CAANZ Programme in their 4th year of study. This Programme leads to a dual qualification from MICPA and Chartered Accountants Australia & New Zealand (CAANZ) which entitles graduates to use both the CPA(M) and CA(ANZ) designations. The scholarship focuses on 2 components – professional education through the MICPA-CAANZ Programme and employment opportunities with reputable firms and organisations. It is aimed for 3rd or final-year undergraduate from a MICPA-accredited university and offers a scholarship, valued at RM9,500 to cover various costs. This scholarship is awarded by the Malaysian Government to the nominated students from the Commonwealth countries to study at the post-graduate level in Malaysia. This is a Government to Government scheme without any bond imposed by Malaysia. 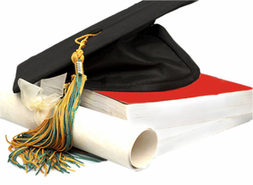 The awards for Masters degree are between 12 to 24 months depending on the courses. Awards for pursuing PhD degree are for 3 years. The Awards are only applicable for candidates pursuing full-time degree programme in Malaysia. This post-graduate scholarship provides opportunities for students to pursue advanced academic study in Malaysia. This scholarship is a Government-to-Government basis, without any bond imposed by Malaysia. Scholarships are intended for promising candidates who may be expected to make a significant contribution to their own countries on their return from Malaysia. The duration of the award is 36 months for PhD and between 12 to 24 months for Masters Programme. The programme reaches out to deserving Malaysians who are in need of financial aid to pursue their education. The scholarship provides course fees, allowance, an induction programme, mentoring and coaching as well as an internship programme. As a statutory body that protects against the loss of bank deposits, PIDM’s scholarship applies to undergraduate studies in fields like accounting, banking, business administration, finance, actuarial science and similar areas. See website for full list and eligibility requirements. More than just a scholarship, Gamuda offers mentoring and guidance during the course of study. Upon completion, scholars get to participate in nation building as we develop some of the country’s most significant infrastructure and property developments. The Scholarship covers full tuition fees and living allowance. Eligible fields of study at local institutions (public / private / foreign branch campus) are Engineering, Quantity Surveying / Building Surveying / Construction Management, Technical Sciences (Geology, Geomatics), Township & Urban Planning, Architecture / Landscape Architecture, Property & Real Estate Management, Accounting / Finance / Business IT, Human Resource / Psychology. The Genting Malaysia Scholarship Award (GENM Scholarship) provides qualified young Malaysians with the golden opportunity to further their studies locally or overseas. It offers financial assistance for students who have excelled academically and demonstrated active leadership to undergo their undergraduate studies. Preference is given to the following fields, but not limited to: Leisure & Hospitality, Parks & Recreation Science, Event Management, Finance / Accounting, Business / Marketing, Engineering (Electrical / Mechanical / Civil), Information Technology and more! To groom the next generation of leaders in businesses and industries, Yayasan Khazanah offers deserving scholars full scholarships under the Khazanah Scholarship Programme to study at premier universities around the world or in Malaysia. Besides financial support, an integral feature of the Khazanah Scholarship Programme is a broad range of training and developmental activities that scholars will undergo to help prepare them for a successful and accelerated path to leadership. The Khazanah Global Scholarship is a prestigious award that offers opportunities for bright and high-achieving Malaysians to pursue Undergraduate and Postgraduate studies at selected leading universities around the world. The Khazanah-Oxford Centre for Islamic Studies Merdeka Scholarships are intended to enable outstanding Malaysian students to undertake postgraduate study at the University of Oxford. The Khazanah Asia Scholarship is for deserving candidates from Bangladesh and Indonesia to pursue their undergraduate and postgraduate education at selected leading universities in Malaysia. The Khazanah Bestari Scholarship Programme supports quality education experience for eligible students to study at selected private secondary schools in Malaysia. The Chevening-Khazanah Scholarships award outstanding scholars with leadership potential from Malaysia to study a one-year taught Master’s degree in any field at top ranking British universities as indicated by the Times Higher Education World Reputation Rankings. Applications for 2017/18 Chevening Scholarships are now closed! Rhodes Scholarships for Malaysia, in Partnership with Yayasan Khazanah offer postgraduate awards to support exceptional students from around the world to study at the University of Oxford. The Star Education Fund Scholarship. Samling Scholarship and Bursary Programme.